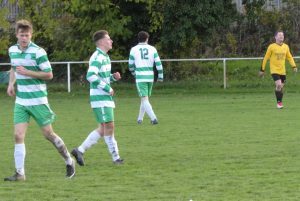 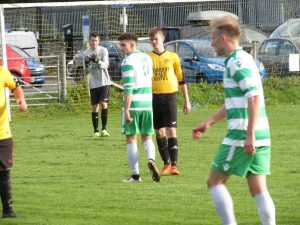 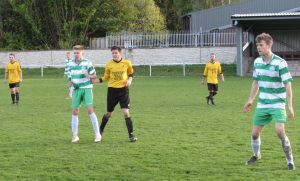 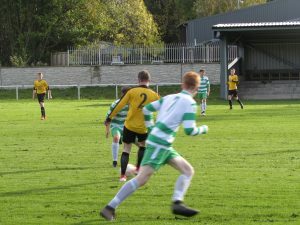 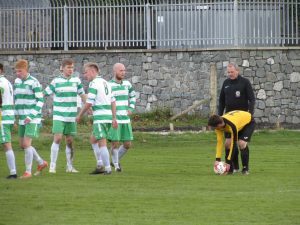 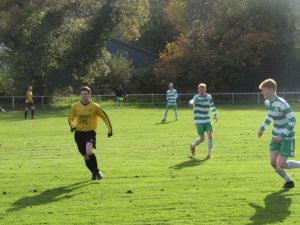 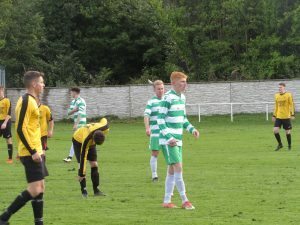 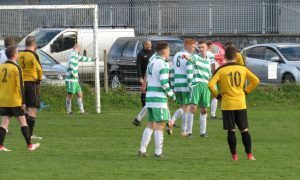 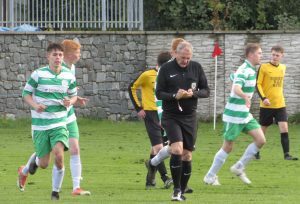 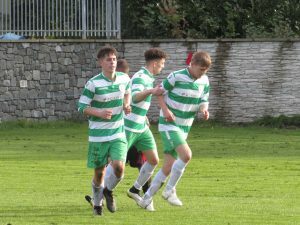 Hay St Marys FC » Blog Archive » First Team Win Away. 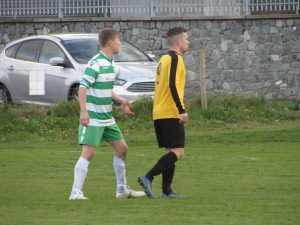 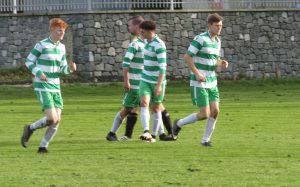 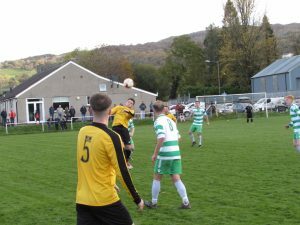 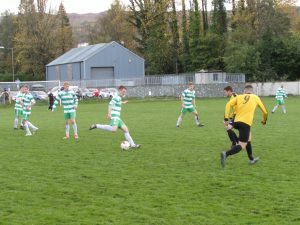 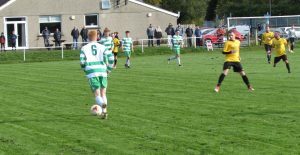 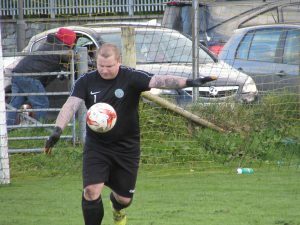 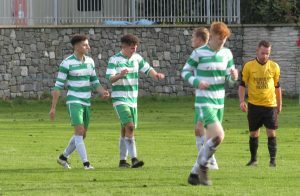 The Saints first team put in another good performance on the road and came away with a 1-6 win at Dolgellau FC. 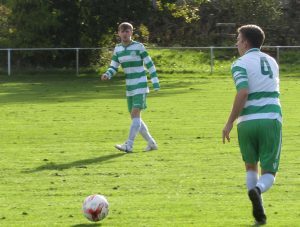 First half goals from Jack Biggs, Matty Tong(2) and Brendan Hackett saw us race into 0-4 lead. 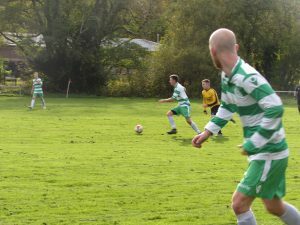 Further goals in the second half from Tom James and Adi Lawford saw us extend our lead, the home side scored in the last minute. 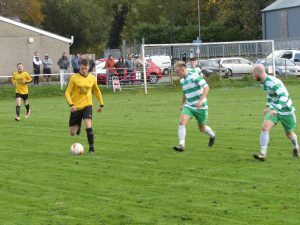 We were a bit sloppy in the opening five minutes but once we got going we went ahead very quickly. 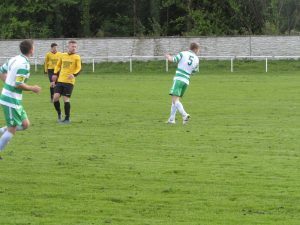 Greg Preece was released down the right hand side, he outpaced the full back before crossing into the box which resulted in Jack Biggs scoring from close range. 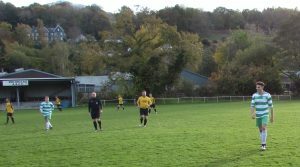 (0-1). 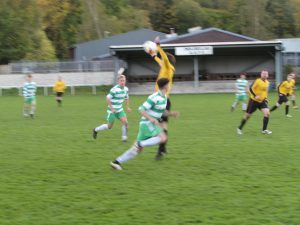 Just two minutes later in the 10th minute the lead was doubled, Matty Tong saw his original effort at goal saved but he pounced on the rebound and scored from a tight angle. 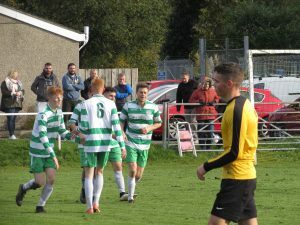 (0-2). 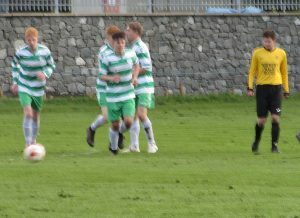 In the 22nd minute we went 0-3 up, Tong went around the left back before scoring from another tight angle. 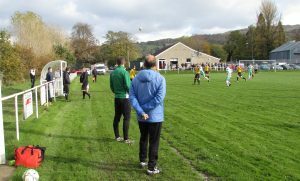 (0-3). 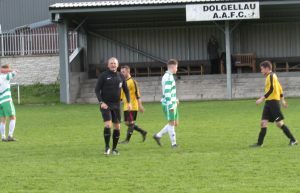 We felt we should of a head a couple of penalties but referee Gwilym Lewis waved them away. 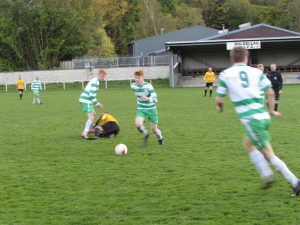 In the 38th minute Tong was tripped quite central around 22 yards out. 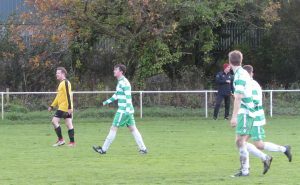 A free kick was awarded which midfielder Brendan Hackett curled around the wall into the bottom right corner to put us into a 0-4 lead. 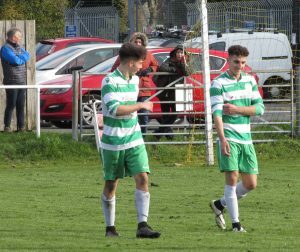 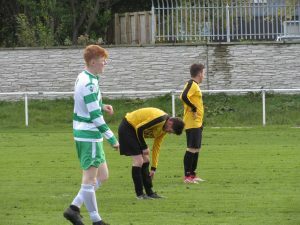 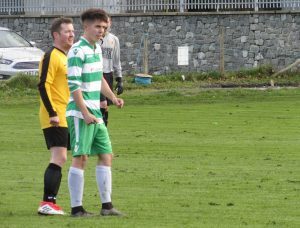 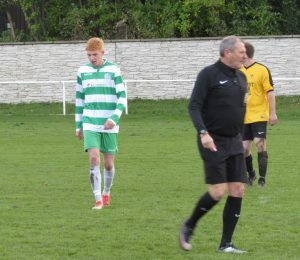 On the stroke of half time youngster Liam Mcanally who was having another good game was brought down in the area this time Lewis pointed to the spot. 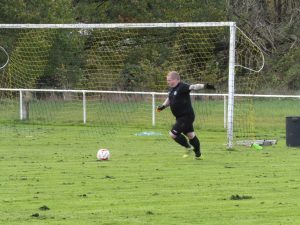 Unfortunately Biggs’ effort came back off the cross bar to safety. 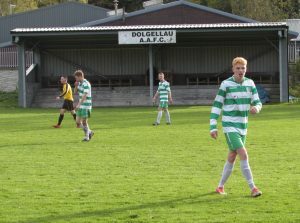 Dolgellau changed their formation at the start of the second half which starved us of the first half possession we had. 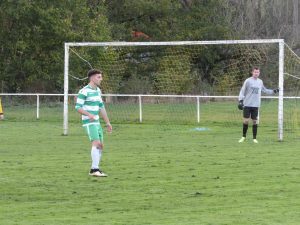 We still looked the more likely side to score in the second half, however, Tom Bevan made a brilliant double save in the 70th minute. 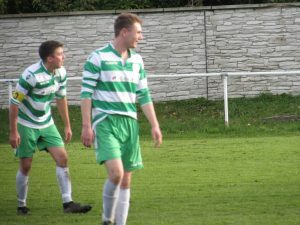 Youngster Jack Cook made his first team debut coming as a replacement and showed some good touches in the engine room. 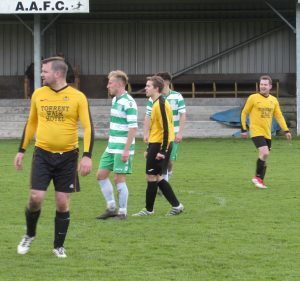 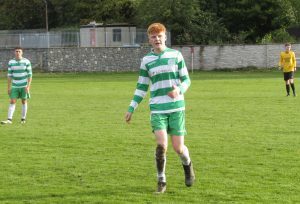 Full back Tom James scored next finishing off a good team move and replacement Adi Lawford added the final goal with a good finish after being put through on goal. 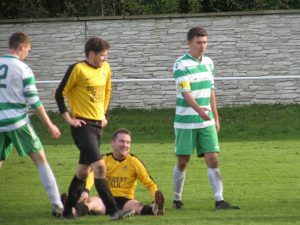 We had to play the last 12 minutes with ten man after Jordan Ingram limped off after a bad challenge. 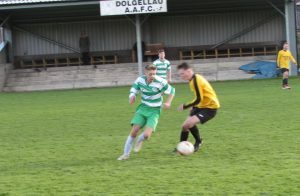 Dolgellau scored a consolation goal in the last minute. 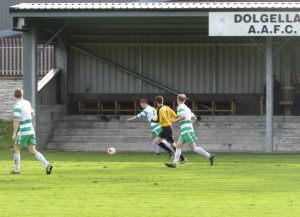 A good performance from everyone made a difficult place to go look easy.